Men, dads included, don't always have the best reputation when it comes to good health habits. This Father's Day, help the special man in your life pick up new healthy habits so he'll be around for many Father's Days to come! Exercise, exercise, exercise. According to studies, fitness is the key to longevity in men. 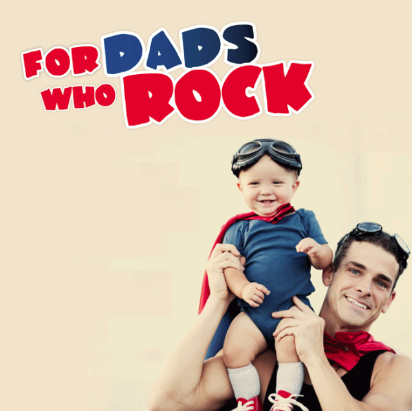 An ideal exercise program for keeping Dad’s ticker strong and healthy involves cardio exercise daily along with strength training a minimum of twice per week. Eat a nutritious, whole foods diet. A diet filled with whole foods such as fresh fruit, vegetables, whole grains, olive oil, fish, nuts and legumes (and low in processed foods) is the best diet for a strong and healthy heart. Add a glass or two of red wine with dinner (if Dad’s physician approves) for extra heart-healthy antioxidants. Reduce stress healthily. Stress is never good and has been linked to plaque buildup and heart disease in men. 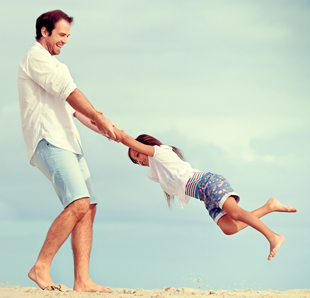 Encourage Dad to take some personal time every day to release stress naturally through activities he loves, such as painting, enjoying nature or playing golf. Achieve a healthy weight. Being overweight contributes to the progression of heart disease. Encourage the man in your life to get his weight under control through a nutritious, calorie-controlled diet and daily exercise.